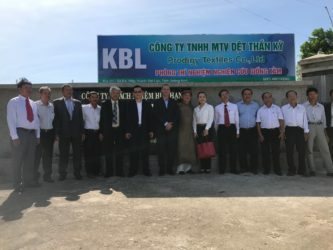 ANN ARBOR, Mich., – July 10, 2018 – Kraig Biocraft Laboratories, Inc. (OTCQB: KBLB) (“Company”), the leading developer of spider silk based fibers announces that, during its trip to Vietnam last week, the Company celebrated the grand opening of Prodigy Textiles new facility in Quang Nam province. 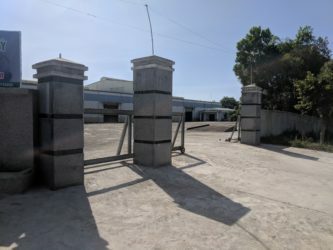 This facility will have the capacity, utilities, and security to support the planned capacity growth in Vietnam through the first phase of operations and will be the launch pad for future expansion on a pre-designated 50 hectare parcel of land located nearby. Working in partnership with its consultants in Vietnam, the Company reviewed numerous buildings and locations throughout the province. The Company ultimately selecting this facility due to its proximity to mulberry production, building layout, condition, utilities, and its proximity to shipping ports and the Company’s planned 50 hectare future campus. The opening celebration was attended by officials from the province and local district, as well as leaders from the farming cooperatives that will provide mulberry and senior banking officials.